Taizhou Fine Food Machinery Co.,Ltd is a standardized and modern enterprise integrating R&D, design, installation, sales and service. Its main products are all kinds of candy, chocolate molding series, packaging machine series, food machinery and so on. Its products are widely used in food, medicine, chemicals, toys, daily chemicals and hardware products. The company's products are highly praised and trusted by customers for its excellent performance and quality, reasonable and reasonable price, and perfect service system. The company has self-support import and export rights, and the products are exported to the Middle East, Europe, America, Australia, Latin America, Africa and other worlds. All over the place. 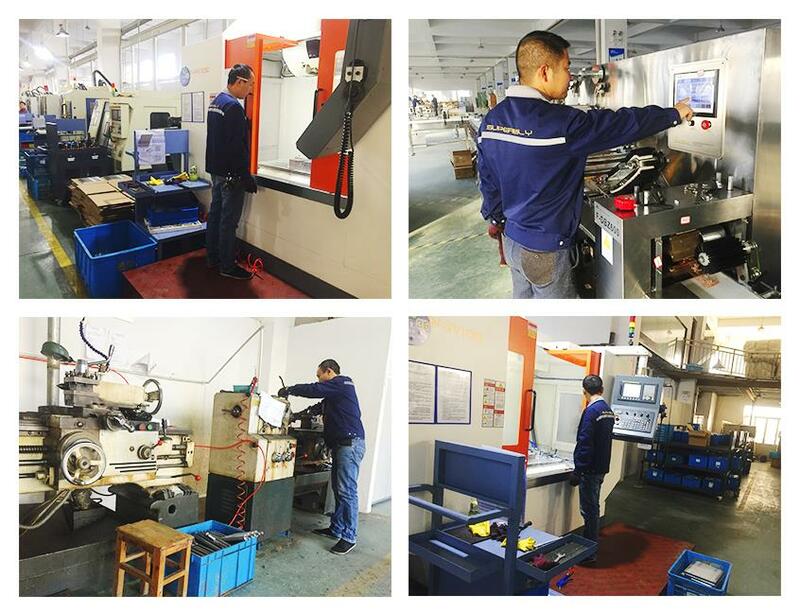 The company builds a enthusiasm, fast, efficient and perfect customer service system, providing customers with high-quality services from cost budget, machine selection, technical support, installation and commissioning, technical training to maintenance and repair. It is a favorable guarantee for realizing customer value. Taizhou Fine Food Machinery Co.,Ltd is located in No.2269 Jingzhong Road, Jiaojiang District, Taizhou City, Zhejiang Province,China with a registered capital of 1,000,000 yuan, the number of employees 20 people. We are engaged mainly in developing and manufacturing wide variety of servo driven flow packing machine,servo driven twist packing machine,casing machine,cartoning machine as well as snack food and candy forming machine. Gospel companies are committed to the business philosophy of customer-focused, and provide solutions and solutions for food processing companies. We attach great importance to product technology innovation, introduce advanced technology from Europe and America, and newly developed a series of candy automatic feeding, forming and cutting machine, candy pouring machine, pillow type packaging machine, kink series packaging machine and chocolate automatic material processing line packaging machine. product. The company has strong technical strength, various testing equipments, and stable product performance. The company is market-oriented and committed to continuous innovation. The gospel will be sincerely cooperating with new and old customers at home and abroad. The recognition and support from all walks of life make us more confident. The most cost-effective products for our customers are the gospel people. The pursuit. We providing the budget service,product recommendation,technical support,installation,training and maintenance. Our machines are widely used in candy and snack food industry,instant food industry,medical industry,frozen food industry,meat industry,consumer goods industry and other industrial areas. We have complete and independent system which includes research,processing,sales and consumer services.